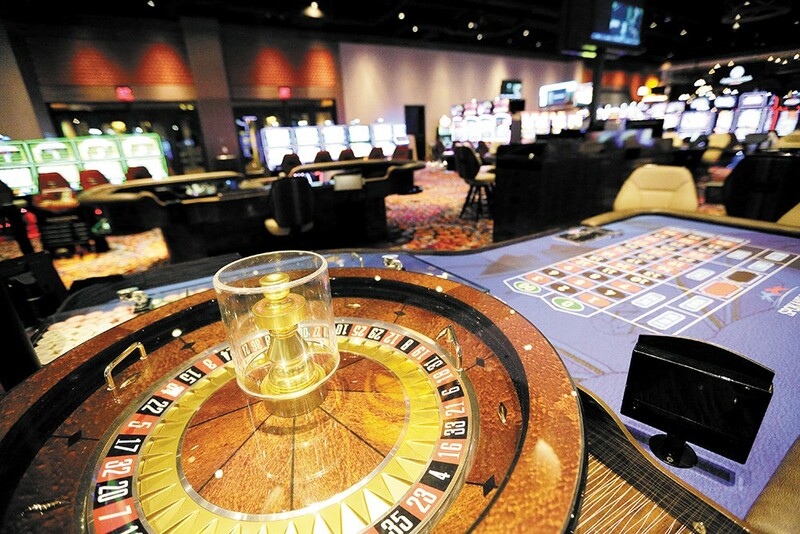 Roulette and other table games await at the Spokane Tribe Casino. Northern Quest Resort & Casino offers the largest variety of table games in the Inland Northwest, including blackjack, craps, roulette and Spanish 21. They also utilize live dealers, which adds to the classic casino experience. And if you need to brush up on gambling rules and casino etiquette before dropping your dough, no worries: You can attend lessons that teach you the basics (Monday, Wednesday through Saturday, at 6 pm; Tuesday at 11 am). The region's newest casino, Spokane Tribe Casino also employs live dealers, and its roster of more than a dozen table games includes roulette, craps and blackjack and more. It's also worth noting that Spokane Tribe Casino and Chewelah Casino merged its players clubs, so you can rack up rewards playing at both casinos with just one card. Coeur d'Alene Casino, meanwhile, specializes in video blackjack, which can sometimes make for a more streamlined game. If you plan on staying awhile, it's probably within your best interest to take advantage of the casino's Coeur Rewards Club: It's free to join, and signing up gets you an instant $10 gaming credit. You'll also rack up bonuses the longer you play. Northern Quest's casino floor holds more than 1,600 slot machines, with buy-ins ranging from a penny to $20, and a handful of new tabletop electronic games have recently been added in the ongoing expansion. It also hosts regular slot tournaments for senior citizens, and members of its Camas Club rewards program receive credits toward other entertainment throughout the casino. Coeur d'Alene Casino boasts 1,400 video gaming machines and keeps its selection updated with some of the most current titles: Look for games inspired by the reality competition show The Voice, complete with trademark red vinyl chairs and various other popular titles. The Spokane Tribe Casino has about 450 slot machines on hand and some recent jackpots listed on its website have been as high as $18,000. They also offer new promotions every month, including giveaways and free incentives. The Black Pearl Casino & Poker Room has a number of special deals and payouts for poker games that rotate throughout the month. On the last Saturday of every month, they host a deep stack tournament — this means players begin with a pool of chips that's relatively higher than the per-deal ante — and every Sunday, college students get a $5 discount on tournament buy-ins. Playing a flush comes with an additional payout on Fridays. You can also play on special Monte Carlo boards, a popular staple in smaller casinos, which significantly reward exceptionally high poker hands. Northern Quest's poker rooms offer both spread limit and fixed-limit games, and the main games are Texas Hold 'Em and Omaha. As with its table games, Northern Quest also offers lessons that will teach you the ABC's of poker, followed by a low-stakes game for beginners. The casino also has morning poker tournaments every day at 10:30 am, as well as Sunday through Thursday nights at 7 pm. The original print version of this article was headlined "So, You Want To... GAMBLE"